Just like the original iPhone marked the end of the dumb-phone era, so did the Apple Watch put an end to traditional fitness trackers and convinced consumers that smartwatches with smartphone notifications and fitness-tracking features are the way to go. To remain relevant in this new market, Fitbit has updated its popular fitness tracker to include many useful smartwatch capabilities at an affordable price. But the question everyone’s asking is whether the Fitbit Charge 3 can rival the already popular Apple Watch, or even if the Fitbit Charge 3 needs to rival the Apple Watch. Let’s find out. The previous Fitbit Charge was more elegant than sporty. The new Fitbit Charge does away with 90-degree angles and, instead, features a sleeker aerospace-grade aluminum case with angled sides for maximum comfort. The Fitbit Charge 3 is approximately 20 percent lighter than the Fitbit Charge 2, making it slightly lighter than the Apple Watch. Regardless of how large your wrists are, you can wear the Fitbit Charge 3 and know that it won’t stand out and make you look dorky. The design of the Apple Watch is so iconic at this point that you can most likely close your eyes and imagine it to the very last detail. Over the years, the Apple Watch grew slightly thicker as Apple added new features, but the device’s overall thickness is still more than acceptable. With the latest version of the Apple Watch, Apple has fully embraced swipe gestures and taps as the primary means of interacting with the smartwatch and moved away from the Digital Crown. Is one better than the other? Not necessarily. 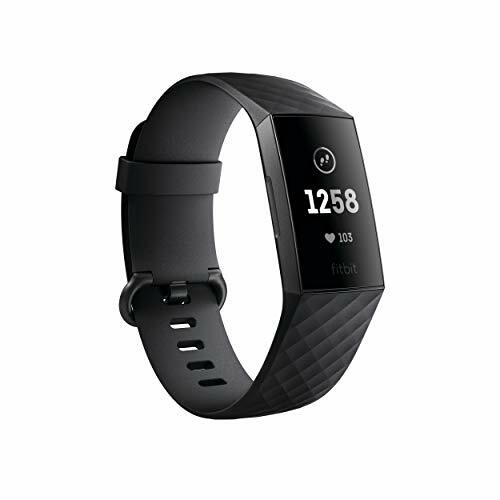 The Fitbit Charge 3’s design is primarily intended for those that are looking to better understand their fitness accomplishments and goals — steps taken, heart rate, and the time of day. It’s not necessarily meant to be regularly interacted with all day long, whereas the Apple Watch is. That said, one really isn’t better than the other in terms of design, though the Charge 3 is supposed to be lighter, so you aren’t carrying around a lot of weight during intense activity. The Fitbit Charge 3 features a similar change: the physical button that was previously used as the sole means of controlling the fitness tracker has been swapped out for an inductive button with haptic feedback and a touchscreen display. The new inductive button makes the watch feel a lot more responsive, and it also created space for a larger battery and new fitness features. You can press the button at any time to go back to the home screen, and there’s a new settings option that lets you adjust the intensity of the vibrations. It’s fairly easy to navigate throughout the Fitbit Charge 3’s functions and features. The touch screen is responsive, and it’s laid out to make it easy to find what you’re after. The new touchscreen display offers approximately 40 percent more active area than its predecessor, and you can swipe down on it to view all notifications or swipe left to cycle through various modes, such as exercise, relax, timer, weather, or settings. Unfortunately, the display is still only black and white, so it doesn’t have the same wow-factor as the OLED display on the Apple Watch. That said, the OLED display on the Apple Watch is actually extremely nice. It’s crisp, clear and easy to see. On top of that, the touch screen is extremely responsive, which makes it easy to navigate around the small display. It’s not super sensitive, which is good so that you can properly choose apps that you want to open without many mistakes. While the touch screen is a major part of this device, the Digital Crown on the side of the Apple Watch is actually where the majority of movement and function takes place. The main criticism we had about the Fitbit Charge 2 was the lack of water resistance. Whereas the Apple Watch may be used for shallow water activities like swimming in a pool or ocean, the Fitbit Charge 2 wasn’t water resistant at all, making it feel somewhat incomplete. The good news is that this oversight is now fixed, and the Fitbit Charge 3 is water resistant down to approximately 50 meters (164 feet). To make the most out of the water resistance, the fitness tracker now comes with a new swim mode, which lets you track laps and distances. The Fitbit Charge 3 can now also rate the quality of your sleep thanks to its SpO2 sensor, which measures peripheral capillary oxygen saturation in addition to heart rate. Where the Fitbit Charge 3 still falls shorts is in tracking autonomy. Because it doesn’t include built-in GPS nor LTE connectivity, you won’t be able to record as much information about your activity as you might like unless you bring your smartphone with you, which somewhat defeats the purpose of buying a dedicated fitness-tracking device in the first place. The Apple Watch has a built-in GPS and LTE, allowing you to leave your smartphone at home and still track your activity without any limitations. The GPS sensor in the Apple Watch is actually really nice to have, as it allows you to track your routes when you’re on a run or jog! Since the Apple Watch is a proper smartwatch, it can do a lot more than the Fitbit Charge 3 can, including making phone calls, playing music, running third-party apps, and so on. The feature discrepancy is something you should keep in mind when comparing the two devices in terms of their price. The Fitbit Charge 3 is significantly more affordable than the Apple Watch. That’s because it’s not intended to be a fully fledged smartwatch, instead just a fitness tracker with some smartwatch functions built-in. That said, the Fitbit Charge 3 is always going to be more affordable than the Apple Watch. 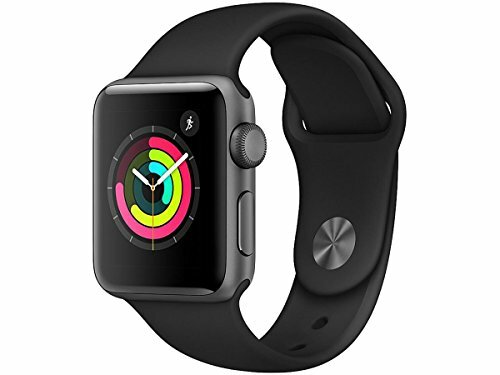 The Apple Watch is definitely more fully featured, and comes with a number of style improvements that makes it appropriate for even the business professional style. The Apple Watch is also more versatile, allowing you to not only use it for fitness features, but as a smartphone and watch replacement as well. That said, depending on the model you pick up, the Apple Watch is going to be more pricey than the Fitbit Charge 3. Consumers can actually pick up either the Fitbit Charge 3 or Apple Watch for less than market value, as many refurbished models are available from both companies, giving you as much as low as a 10% reduction in price or more. There’s also a special edition of the Fitbit Charge 3, and it includes support for Fitbit Pay, a contactless payment solution from Fitbit that launched with the Ionic watch in 2017 and has around 100 bank partners at the moment. Considering the Fitbit Charge 3 Special Edition also comes with an extra black band in the box, we see it as a pretty good deal. While the Fitbit Charge 3 is far more capable than its predecessor, it still isn’t nearly as capable as the Apple Watch, which is understandable considering the former is a fitness tracker and the latter is a smartwatch. Things get much more interesting when you compare the price of the two devices and look at them in terms of how much value they offer. When seen in this light, the Fitbit Charge 3 emerges as an excellent option for those who don’t need the functions that a smartwatch brings to the table. That said, if you’re looking for something that’s more than just a fitness tracker, an Apple Watch will definitely be right up your alley. There’s definitely no “clear” winner here, as it all depends on the type of purposes that you’re trying to accomplish.